There are some opportunities that one just doesn’t say no to. Of course, seeing as I had spoken with Yoni many times but never actually met him, I would not know until I got there if he was the sort who kept his word about things like these. In fact he is, and when I was finally in Australia we made the arrangements, settling on Saturday December 7th. 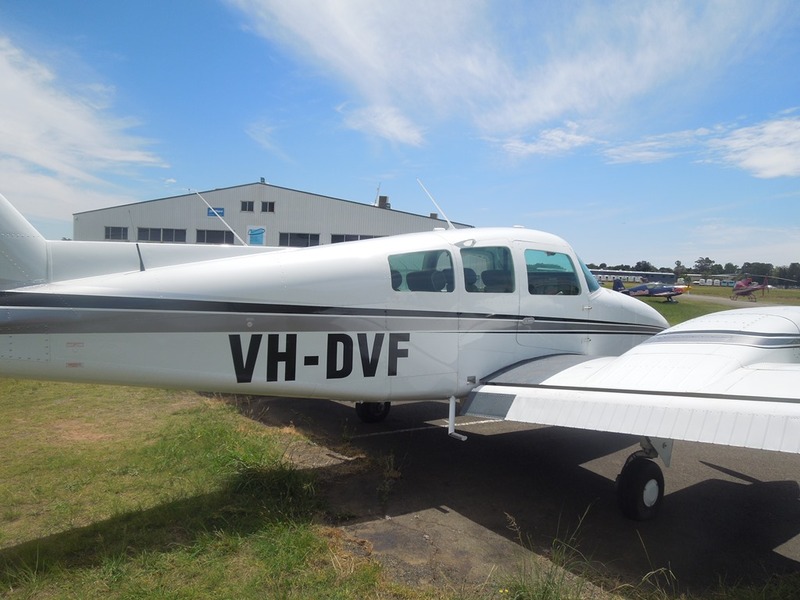 I would meet him at the Bankstown airport (a smaller regional field) at 1:30 in the afternoon, and after all of the pre-boarding checks we would hop in and take off. He expected that I would be late – when I arrived he asked if I had gotten terribly lost, but the truth is that I was fine until I turned into the airport… the traffic was especially bad on Saturday. Once I was in the airport I did indeed get lost, but that only accounted for five minutes of my thirty-five minutes of tardiness. The plane that we would be flying is a Duchess twin engine, with seating for four. 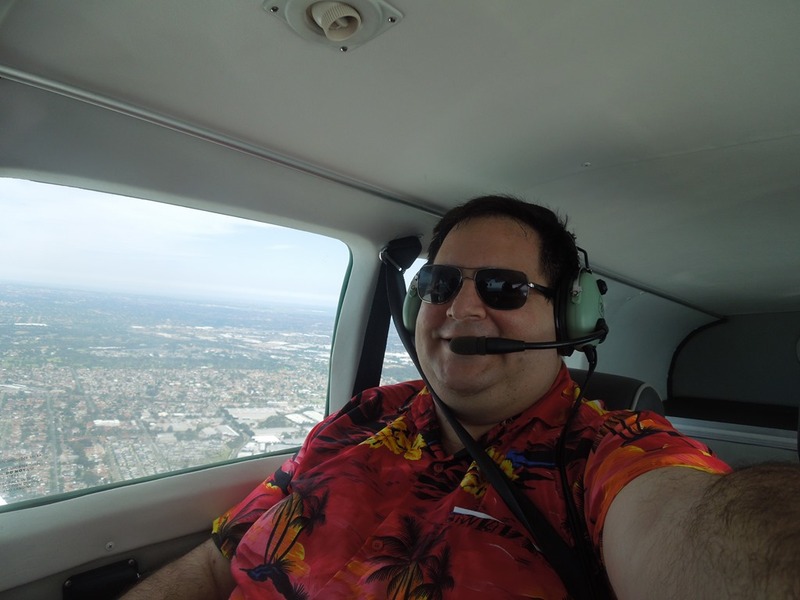 Because he wasn’t current (that is to say he has not flown the requisite amount of hours in the past three months) he invited Matt, a flight instructor with Red Baron Aviation, to sit second-seat, and I got into the back seat on my own. This had three distinct advantages: I had a lot more legroom, I would be able to photograph out of both sides of the plane depending on what sights were where, and probably most important to the pilot I would not have direct access to any instruments that could accidentally throw us off course. Had I arrived at noon we would still not have gotten away on time. We needed to fuel the plane (if you think filling your car is expensive try refueling an airplane!) and wait for Matt, in addition to several other factors that necessitated a 3:15 departure. No matter, I was not in a rush; and anyways we would likely only be in the air for 30-45 minutes, so either way I would be back at the hotel in plenty of time for dinner. As we waited for things to sort themselves out Yoni showed me several other planes at Red Baron, including the stunt plane that was currently skinned for a promotion that Yoni had run recently for the Microsoft Office Garage series – it was branded Office 365, as well as for Fastrack Technologies, Yoni’s company. You should check out the Office Garage series when you have a moment! That plane was a lot smaller than the Duchess that we would be flying, but it really looked swift! We climbed into the Duchess and once we were buckled in Yoni ran through his pre-flight checklist (as every pilot does before taking off) and then on instructions from the tower we taxied to the waiting area – we were third in line for runway 11L. The two planes ahead of us landed, and Yoni proceeded to line up the plane for what felt like a perfect takeoff. 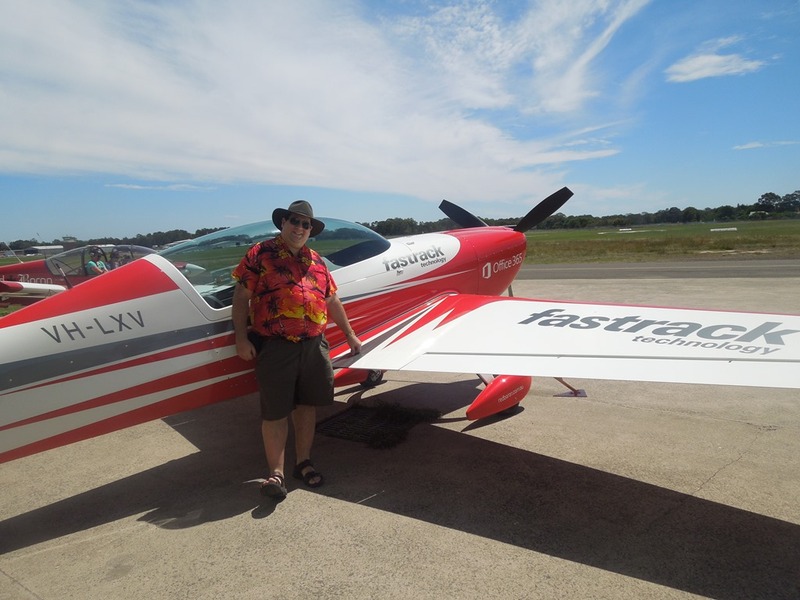 I spend a lot of time on airplanes, but this is certainly different… and a lot more fun! There was no in-flight service, but to compensate we could essentially fly wherever we wanted – as long as we got clearance. 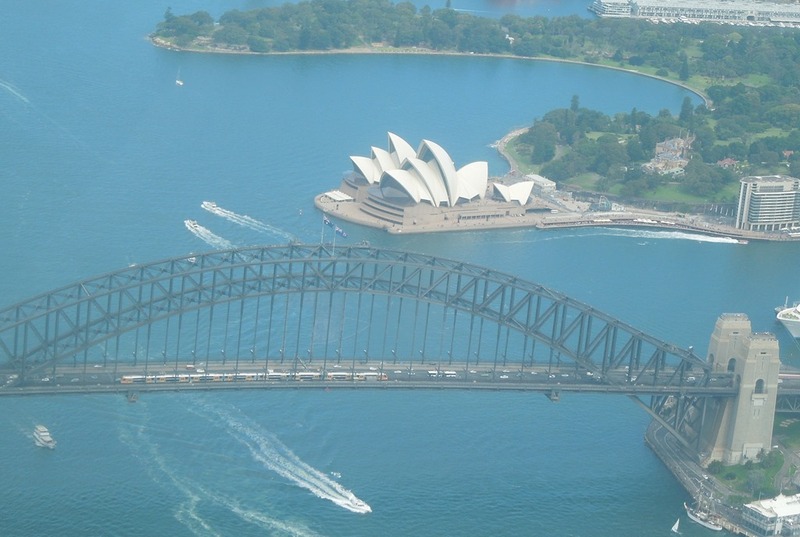 Yoni told me only once we were at the airport that Sydney Tower does not always clear airplanes to fly into the Harbour area, and that the last time he had tried he was denied. Nevertheless it was a beautiful day so either way I would not have been terribly disappointed. YK: Sydney Tower this is Delta-Victor-Foxtrot requesting clearance into Sydney Harbour for a quick tour. ST: Roger Delta-Victor-Foxtrot, you are cleared into the Harbour. The pattern is clear, feel free to linger around. You are clear to 1,200 feet. Let us know when you are leaving. Wow. Of course, I was not recording the conversation, but that was the general gist of it. 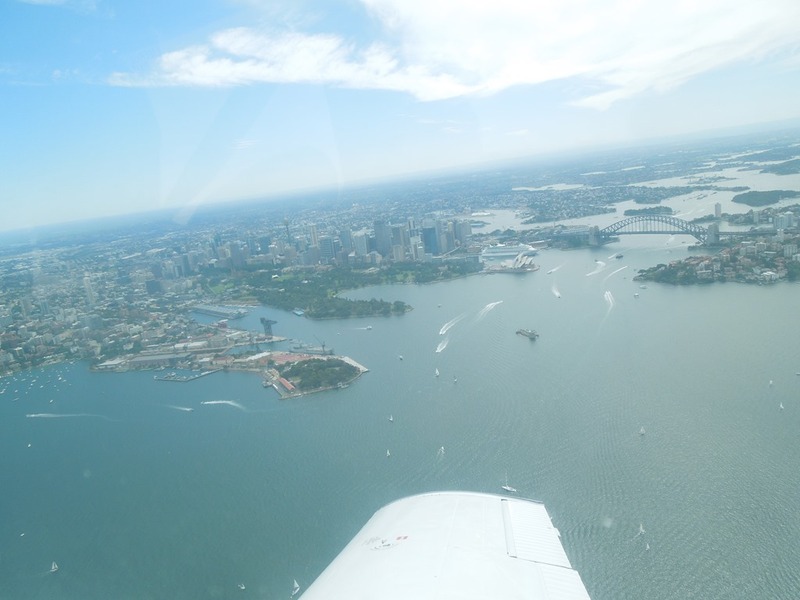 The tower Air Traffic Controller literally told Yoni he could do what he wanted in the airspace over Sydney Harbour. That meant that instead of simply having a beautiful day of flying, I would have the opportunity to take some pictures of world-famous monuments and landscape that was really a once in a lifetime chance. The fact that I was able to get pictures of the Sydney Opera House right over the Sydney Harbour Bridge was, to me, just spectacular. Yoni rightly pointed out later that they may not be the best images ever shot of the landmarks, and that I could likely find better ones on-line, none would ever be so special to me as these. I agree – there is no question that taking a picture yourself trumps professional photographs any day! We only spent a little under an hour in the air, but that was fine by me. It was an incredible flight, a lot of fun, and Yoni and Matt are two great pilots who are a hoot to be in the air with (on the ground as well, but they both had prior engagements for that evening so buying them a round was out of the question). As I have said before I have been on literally hundreds of flights over the past decade, and most of them are not in any way memorable. This one was a flight I will never forget. Thanks guys!